The Harcourts Solutions Inner West office was established in January 1999 and continues to enjoy success and recognition as a market leader in the Brisbane Inner Western Suburbs. Our office in The Gap is located at The Gap Village Shopping Precinct . This position attracts many passers by, day and night, and offers buyers and sellers alike the opportunity to view/showcase properties accordingly. All staff are hand picked and are top performers in their fields. This shows in their local knowledge, their expertise and their understanding of your needs. As a resident of Brisbane’s Inner Western suburbs for over a decade, Ben has vast knowledge of the local area and community. Raised in a real estate family, he was introduced to the industry from a young age, gaining valuable experience working in his parents’ real estate agency. He has continued to excel in sales since that early start. His solid background in a number of sales positions, across a range of industries means Ben is at ease working with people in a variety of circumstances. Ben aims to ensure his clients a personalised, stress free and seamless experience when buying and selling. Well versed in sales and client relationship management, Ben has a down to earth approach, always striving for positive outcomes and client satisfaction. With his commitment to provide tailored service and his ability to form lasting relationships with his clients, Ben is excited to continue building on his real estate career with the number one real estate office in the area, Harcourts Solutions. Ben’s professionalism, dedication and open style of communication make him a great choice for selling your property. 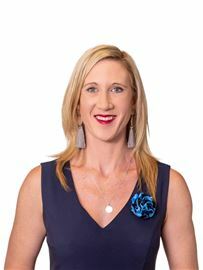 Passionate about people and helping them to achieve their dreams, Carmen Briggs is a Licensed Real Estate Agent at Harcourts Solutions Inner West. Carmen has held a prolific presence in Brisbane’s Inner West property market since joining Harcourts in 2005 and she shows a commitment to her clients which has seen her achieve results unrivalled by her peers. An exceptional communicator and negotiator, due to her wealth of experience in customer service and business management, Carmen has been a multi-award winner within the group for over eight years. Most recently, Carmen was awarded No 1 Top Residential Sales Consultant in Queensland at the black tie Harcourts Awards function in April 2016. At the Harcourts Awards function in May 2014, Carmen was awarded No 1 Top Residential Sales Consultant in Queensland and No 4 for the same category Australia wide. Her performance and results were judged against over 1,100 Sales Consultants Australia-wide and over 3,900 internationally. It is an undisputed opinion that Carmen has brought a new level of professionalism to the local industry, and her clients find her approachable and friendly. Carmen is especially enthusiastic about providing diligent, honest and caring service to her clients, and sharing in the excitement in receiving the best possible result for their homes. Selling property in the Inner Western suburbs of Brisbane for over ten years has not only given Carmen an intricate knowledge of the area and its changing market dynamics, but also an extensive and loyal client database. Her clients appreciate her sense of humour and light-hearted outlook, while nonetheless being able to provide a professional, empathetic and trustworthy service. Carmen enjoys gently guiding her valued clients through what is recognised to be a stressful event and achieving the very best experience and outcome in their real estate transaction. With an investment property portfolio of her own, she can also provide expert advice to property investors. Carmen’s expertise is backed up by Harcourts’ cutting edge systems, technology and international marketing exposure. Harcourts is New Zealand’s largest and Australia’s fastest growing real estate group. Founded in New Zealand in 1888, the operation expanded into Australia in 1997, currently there are over 600 offices in Australia, New Zealand, China, South Africa, Singapore, Zambia, Indonesia and Fiji. Due to her professionalism and integrity, together with her exceptional service and high success rate, many of Carmen’s clients come to her as a referral from one of her satisfied clients, as a true testament to her diligent approach. Carmen’s unsurpassed market knowledge and experience has enabled her to successfully navigate the peaks and troughs of the local changing market. Supported by Harcourts’ superior technology and management systems, this combination perfectly equips Carmen to continue to provide an unprecedented level of service, innovative marketing, and sensational results to her clients. An active member of the local community, Carmen is also a registered Justice of the Peace, a major sponsor of The Gap Farmers’ Market and the first Communify Champion. Carmen also supports the local schools and Harcourts Foundation, who donates generous funds to the local charities and needy individuals. Jack Dangerfield is the Business Development Manager at Harcourts Rental Management Solutions. Jack offers a wealth of experience and can provide you with an accurate and honest rental appraisal. His goal is to find you the best quality tenant, at the best possible price, in the shortest amount of time. His commitment to Harcourts over the last 10 years has earned him a spot as one of Harcourts Australia’s Future Leaders, awarded only to the most dedicated members of the team. If you are in need of an agent with a personal touch and attention to detail, call Jack today. Mark brings over 10 years of Property Management, Property Investment, and Sales experience to our company. Mark also has a background in Information Technology Project Management. Mark has exceptional communication skills and ensures clients will receive a high quality service when buying or selling property. 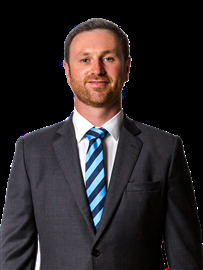 Member of the Harcourts Hall of Fame Fellow of the Real Estate Institute of Queensland Experience counts and with almost 25 years in The Gap and surrounding suburbs alone, Stephen enjoys helping sellers and buyers meet their goals. Starting out as one of the first agents to join Harcourts when it commenced operations in Australia his name has been synonymous with awards, high achievements and consistently raising the benchmark in sales and property management. With an impressive skill set and a genuine care to nurture his team to success, Stephen's core values of providing a sincere approach to customer service as well as a 'down to earth' method to fashioning each contract has seen him generate an impressive base of repeat clients and a consistent 'word of mouth' referral network. Specialising in the inner west areas of; Ashgrove, The Gap and Bardon, Stephen's name has been associated with the area for over twenty years. As an agent he has built an impressive list of sales awards and as a business owner, his business is regularly recognised for professional service. Backing up his knowledge with formal qualifications in Estate Management, Stephen is also committed to remaining at the forefront of the industry by consistently renewing his skills and keeping up to date with legislative changes and technological advancements to the industry. As an active member of the local community Stephen is a regular contributor to local schools and sporting clubs and has a firm commitment to giving back to the local district. As well as his dedication to his local area, the Harcourts Solutions Inner West is also a regular donor to the Harcourts Foundation, a benevolent organisation that assists local charities and causes. Starting out as the “Saturday girl” in 2005, Caragh has grown with Harcourts and been witness to many market changes. Her genuine enthusiasm for the industry and her attitude as a conscientious hard worker has made her an integral part of the Harcourts team. With an aim of delivering the finest customer service and a flawless real estate experience for every client, Caragh is committed to keeping up with Harcourts Solutions' reputation as local area leaders. Clare Webster provides executive level assistance to Carmen Briggs and is responsible for the facilitation and execution of all property sales and marketing campaigns. Clare carefully manages the many tasks involved with the launch of all new property listings. She is also responsible for the preparation of contracts, advertising campaigns, correspondence and weekly internet activity reports to our Sellers. Clare has lived locally for 23 years and has been working for Carmen for the past 6 years. She is very proficient in executing the systems and processes that have contributed to Sellers successfully selling their homes in the shortest time frame for the best possible prices. Clare uses the internet extensively to gather and filter information to enable buyers to find your property when they are searching for a new home. On a weekly basis Clare analyses the buyer behavior and monitors the internet activity surrounding your home. Clare will suggest changes to your campaign to ensure that your property is exposed to as many buyers as possible using many different networks including social media. Clare is a highly regarded and key member of Carmen’s team and has been formally rewarded and recognized for her outstanding achievements and commitment. Put Me On Your Christmas List! Under Contract! Neat as a Pin!